This week, we will be looking at sharing video content through YouTube. This platform is a versatile tool to share internally or externally produced videos. Online video is hugely popular with today’s internet users. Cultural organisations are increasingly looking to video to educate, inspire, and document their activities. This capacity can range from ad-hoc commissions of videographers as part of funded projects, all the way to staff and volunteers producing videos in-house with dedicated equipment. 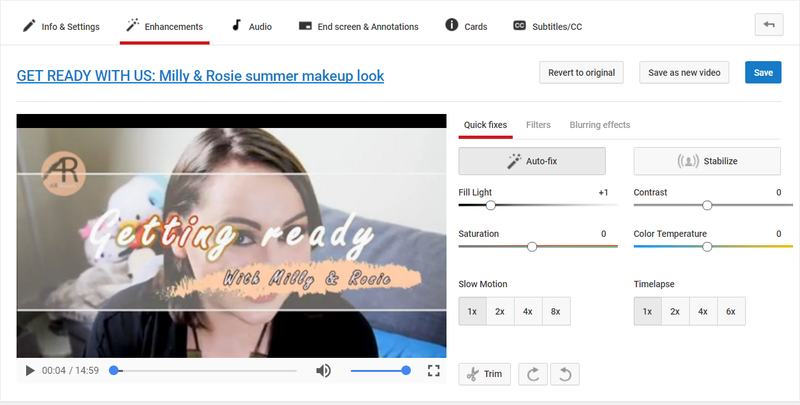 Whatever your means of production, YouTube is a good home for content, especially content that needs to be distributed multiple times across a variety of channels. Depending on where your content is stored, either a mobile device or laptop. A Google account for your organisation. Any relevant branding: logos, copy etc. Posting content on YouTube is an easy (and fun) process. After navigating to the website, you can sign in on the top right using your Google account. If this is your organisation’s first time using the site, you’ll be prompted to start setting up your channel. Your channel is your hub from which you can post your content, and engage with your audience on the site. The layout is simple and is typical of Google’s user-friendly approach. If YouTube becomes a part of your communications strategy, then this is worth doing with your relevant colleagues who have oversight on such things. Otherwise, feel free to add as much branding and information as you feel is appropriate. Other organisations tend to treat the site as any other digital asset, and so it is common to see their channels branded like their other platforms. 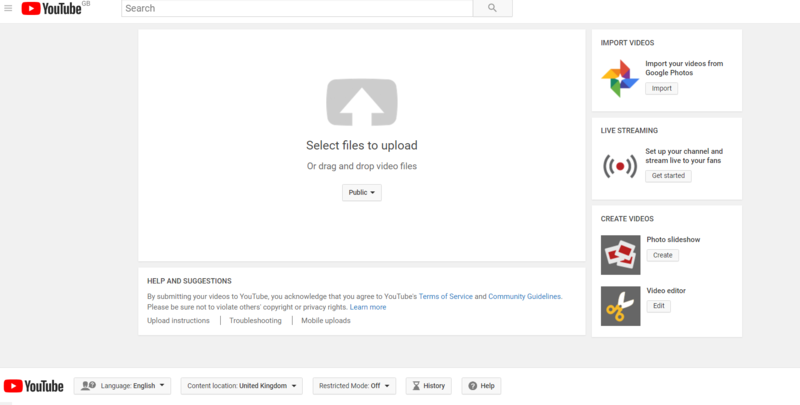 There’s a button next to the search bar for uploading content. Clicking it will allow you to select the file you want from your computer. During this process, you’ll be given the chance to give your video an appropriate title and description, as well as tagging it with relevant search terms. It’s worth spending a little bit of time crafting this to ensure that your content is accessible via the search bar. You can also make use of some limited editing tools for making minor alterations to lighting and annotations. For those without dedicated editing software, this is a useful tool to improve the quality of your videos. For accessibility purposes, there’s also the option to add subtitles and translations, which the user can enable and disable as required. Each individual video you upload allows you to view detailed audience data. Like Twitter and Facebook, YouTube provides real-time info on audience demographics, traffic sources, and playback devices. 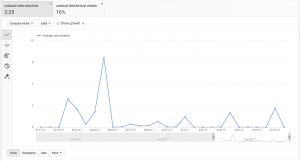 Additionally, YouTube also provides data on audience retention on each individual piece of content; so you can get insight into when you lost your audience’s attention. This is a huge bonus for creators who are looking to optimise their content for their audience or experiment with new audiences. 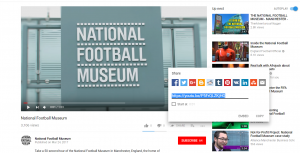 Sharing your YouTube content is as easy as clicking the share button on the video player. From there, you can access your other social media, emails, and even an embed links into your website. 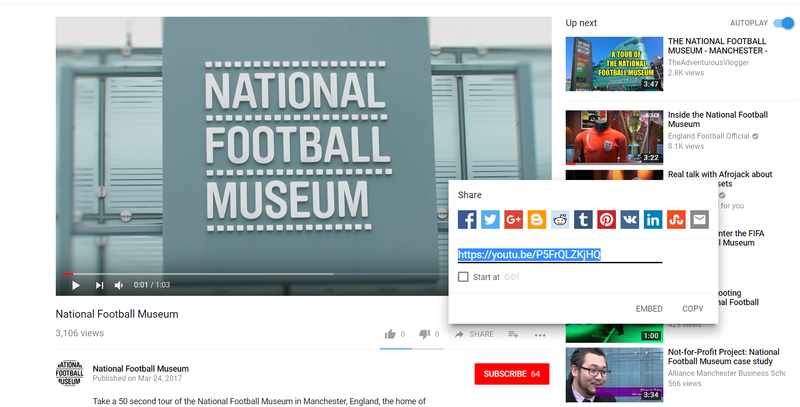 Sites like Twitter and Facebook allow the user to access the video on their website when viewed on a computer- the analytics are still available on the main YouTube site. You could even create a QR code using the link and put it somewhere in your venue for visitors to access more information on stories and objects. YouTube is at the cutting edge of online video technology. At the upper limit, users can upload videos up to 12 hours long, or 128GB in size! The site also supports resolutions up to 4K. 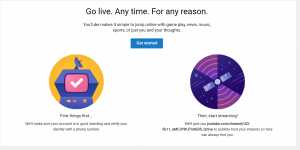 This puts YouTube firmly ahead of other leading social networks in terms of flexibility with videos. For organisations conscious of the long-term viability of the platform, they can be confident that it has so far been ahead of the curve for technological advancements. As well as being a home for videos in all shapes and sizes, YouTube has a thriving community who consume billions of hours of content a year. Like other social media channels, YouTube users can like, dislike, and comment on posts, as well as subscribe to channels they watch regularly. Educational content can be a great place to foster debate and engagement. 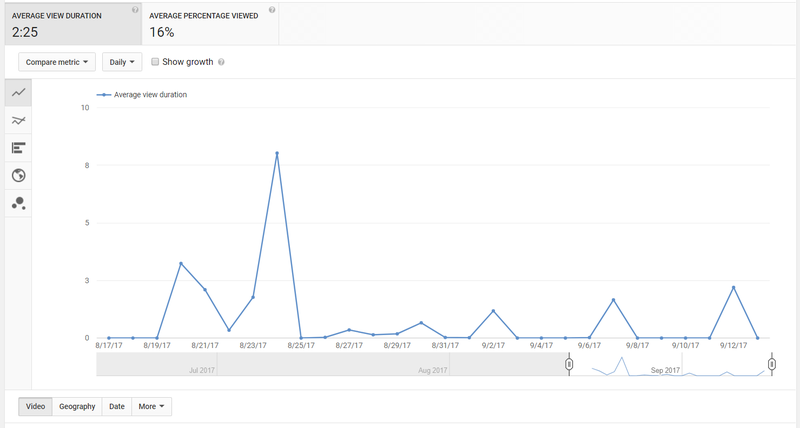 For organisations looking to branch out online, YouTube is a great place to be. It’s completely free to sign up and post as much or as little content as you like. YouTube is an easy way to access all your video content online and sharing features make distribution easy. Useful analytics reports- great for strategy writing, assessing impact, and KPI monitoring. Powerful technology- whether it’s video uploaded from a mobile device or a crafted feature, YouTube has you covered on compatibility. Setting up a channel can be a lengthy process. The involvement of other staff may be required, to be to ensure that branding guidelines are followed. 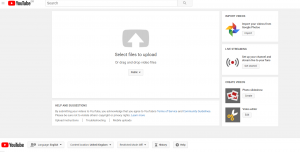 Content uploading can take a while depending on your internet speed. Who should use this within a museum? 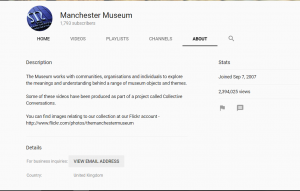 The platform is great for anyone looking to get their video content out there, be they museum educators, digital specialists, content marketers or anybody else with a special interest in video. Online video continues to grow and is a great way to get people excited about heritage. With modern mobile devices putting the power of video at many people’s fingertips, having the right tools to share and grow online is a top priority for heritage staff managing digital development. For those looking to put their video content out there, YouTube is highly recommended. This week we are going to try something different, which can help us create amazing graphic designs without having to be a professional graphic designer. Canva is a free graphic design tool used by professionals, as well as by people who have absolutely no prior design skills. It is a tool which allows users to create custom visual content for Pinterest, Twitter, Facebook, and Instagram posts. Let’s start with a hypothetical scenario: you are hosting a museum late celebrating the X museum’s birthday and you want to create a promotional poster to be published on social media for your followers. Open Canva and click on Create a design on the top left. For the purposes of our scenario, we chose the Poster template. First, we’ll pick either a layout or a background photo. Click on LAYOUTS from the list on the left and scroll down to look for one that is suitable for your poster’s purposes. Don’t worry about the text, as it can be altered later on! 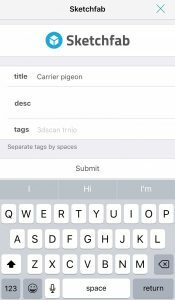 Alternatively, you can click on the white search box and enter keywords to find a relevant photo to use, but choosing a layout will save you much more time. For our hypothetical scenario’s purposes, we chose a layout that alludes to a celebration of some sort. Now that we’ve got a striking image to draw attention, we need to give our audience some details about the event. Since we’re already working with a template, we can just edit the placeholder text and add in the right details. With Canva you can also upload and add your own images which you can, then, edit, crop, and filter. Simply click on UPLOADS on the left, and then on Upload your own images. After you’ve uploaded an image from your own server, you can drag it from the left-hand side of the page straight to your poster. The editing options are directly above your design. On the left-hand side, you can also see the options ELEMENTS, TEXT and BACKGROUND. You may use these if you’re creating your own design by scratch, but it is an option which is significantly more time-consuming than going for a layout which you can then edit and adjust to your own needs. Voila – our poster is ready! All we have to do now is click Download on the top right corner. Users can choose the format in which they want to download their design. Canva will give you the option to download a watermark-free version of the design, but it will cost you, so we’ll just download the watermark version. Time-efficiency! It literally took us 5 minutes to do the whole process. It’s extremely simple to use – the website design of this design tool (inception) is so good that everything is straightforward. It offers a comprehensive image library and a collection of templates suitable for different industries. You can directly share your design on social media (top right), further cutting down the time needed to create + actually share your design. There are additional tools that Canva can offer, but users have to pay to access them. A number of images are not free. Anyone who works with marketing and social media, and event organisers who want to promote events and happenings. We simply love Canva! It is a rare example of how a single platform can provide users of any level of graphic design with so many awesome possibilities. What is more, we love the fact that it’s free! Remember: presentation is everything. Visual content is 40X more likely to get shared on social media than other types of content! Canva is the best free tool on the market to help you easily create visual content for your museum/charity. If you need any further assistance with how to use Canva, please email me on yiota@cornwallmuseumspartnership.org.uk. This week we are going to try something a bit different, and look at how digital approaches can help museums behind the scenes in their day-to-day runnings. There are many different programmes out there that can aid with project management, organisation, and productivity. This week we are reviewing Trello, which has become a favourite of the CMP team. Trello is a web-based project management programme. This is based on the ‘Kanban’ system (click here for an accessible link), which was developed by Toyota as a means of improving the efficiency of their production line. Trello uses a system of boards, lists, and cards to organise tasks, allowing you to work in an iterative and agile manner.In the CMP office, we have been using Trello for the last few years for team meetings and to manage specific projects, such as the redevelopment of our website. It’s very simple to use and can be adapted for different purposes. You can get a Trello app on your phone or tablet. You can create as many boards as you like – so you can have a board for each project or a single board for multiple projects. You can colour code each card – meaning that you can quickly and visually categorize tasks. You can also search using these coloured labels as a filter. You can collaborate with other users. This is really important if multiple people are working on the same project, also allowing remote working. It automatically refreshes, so other collaborators on your board can see changes in real-time without having to refresh or sync. It’s based on an agile way of working, so allows you to take an iterative approach and to keep track of all changes to the project. Having a team board with all the projects happening within an organisation can be a really useful way of tracking progress. At CMP we use our team board as an effective and efficient way of structuring our team meetings – we review all of the cards on the board and move them around based on their current state of completion. You can attach documents to cards. You can insert checklists, which give you a percentage of completion on the front of the card. If you select the calendar powerup, you can view your cards on a calendar within Trello. This extracts dates from the due dates that you set for each card, and when the calendar view is activated, you can move cards to different dates. This is particularly useful if you are managing a time-sensitive project or involved in social media/marketing scheduling. You can link due dates on cards with your Outlook calendar, allowing you to have all your deadlines in one place (this is provided by a third-party – Cronofy). You can email tasks straight to your board. Each board has an email address, so when you get an important email that you want to add to your board, then you can forward it to this address and all of the information will be linked to your card. On the free account, you can only use one power-up per board. If you go for Trello Gold (the paid-for version), this only raises to two power-ups per board. Integrations with other applications, such as Outlook and Slack require the use of a third-party service such as Zapier or IFTT. 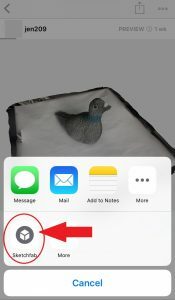 Your email inbox can sometimes become swamped with notifications, though you can switch these off. Be careful, Trello is sometimes used as a discussion forum rather than for organizing tasks. If you need such a facility, we suggest using Slack, which we will be reviewing soon. We at CMP hate silo working, so using Trello helps us to feel connected and allows us to effectively collaborate on projects and share knowledge. It saves times and ensures that tasks don’t fall through the gaps. In order to get the full potential from Trello, there needs to be complete take-up of this tool by everyone in the team, which can be challenging at times. The simplicity of Trello means that it can be adapted for a range of different purposes, and in a future review we will look at how Trello has been used within the Collections Department at the Telegraph Museum Porthcurno to streamline their public enquiries. Following on from last week’s review of publishing 3D models on Sketchfab, we are reviewing the user-experience of Sketchfab. Sketchfab is a platform where you can publish, share and discover 3D content. There are over 1.5 million scenes with a community of over 1 million creators you can follow, making Sketchfab the largest platform for immersive and interactive 3D content. As with most of our reviews, this is a free platform, where there is no cost to upload or access content. The Sketchfab website is incredibly easy to use and navigate. 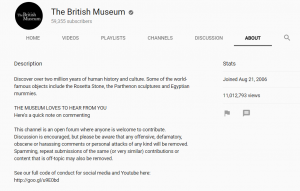 For the purposes of this review, we visited the profile of the British Museum, who have made a concerted effort to publish 3D models online, and have uploaded 220 to date. Following on from this we explored the models that were tagged as ‘Cornwall’ and then filtered for ‘Cultural Heritage and Museums’. We particularly enjoyed the 3D models created by Tom Goskar. Detailed information has been provided next to the models. We selected the Queen piece from the Lewis Chess set – this showed information relating to the date of production, height, material, as well as meta-data about the person who took the 3D scan and what equipment was used. There is the facility for multiple annotations when a model contains more than one object. You can download the model for free, though if you wished to charge, there is the facility. This is dependent upon copyright restrictions – so if you don’t want people to download something, you don’t have to offer it. You can add this model to your own collection, embed it on a website, like it, and share it on social media. 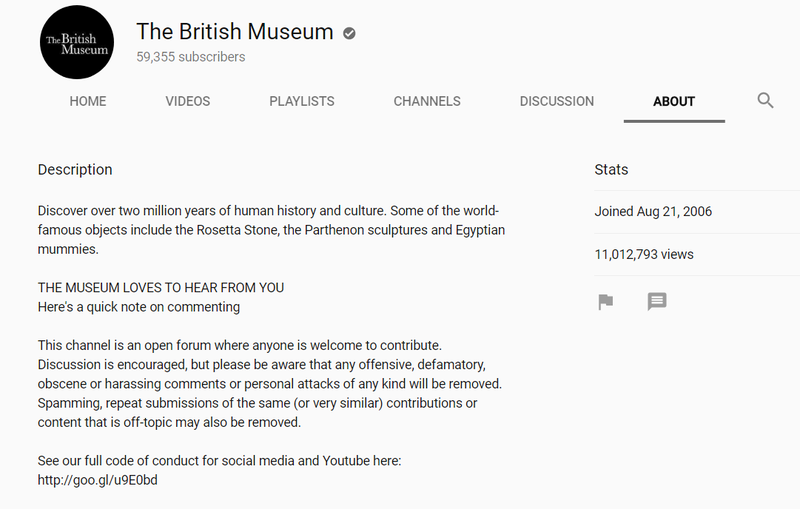 You can see how many people have viewed and liked the model, allowing museums to gauge the popularity of objects. There is the facility to set different licenses for the download, for instance, the Queen is Creative Common Attribution-NonCommercial-ShareAlike. The Creative Commons system of licensing is very straightforward, and you can easily work it out here. People can comment on each model, allowing for extra information, feedback, and discussion amongst users. You can tag each model with generic terms, making it easy for people to find your model while browsing. We were keen to try out the VR facility on the Sketchfab app with our trusty Google Cardboards, however, we noticed that all of the museum/heritage models that we looked at were not optimised for VR. This is not a criticism of Sketchfab per se, but more of a missed opportunity on behalf of museums. We did find some ‘VR ready’ models and found the experience to be absolutely brilliant, with the ability to move around the object (something that we noticed was noticeably lacking in Google Arts and Culture and Google Expeditions. Viewing objects in VR version works perfectly for iOS devices. However, using an Android device takes a long time for the object to load in VR and, additionally, the user must install the Google VR Services app beforehand, in order to be able to view objects on Google cardboard (or any VR device). We love Sketchfab! It presents a brilliant opportunity to freely share and disseminate 3D digital content and become a member of this burgeoning online community. 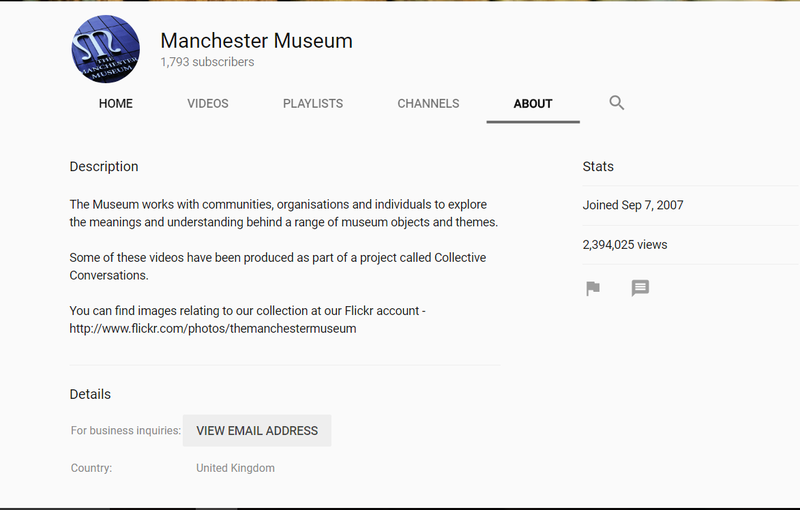 We particularly like the idea of being able to comment on models and feel that this would be a useful tool in the co-curation of museum objects, enhancing digital engagement and participation. We noticed that most of the models that have been tagged as ‘Cornwall’ are archaeological or architectural, so there is a need for museum object to comprehensively display Cornish heritage. 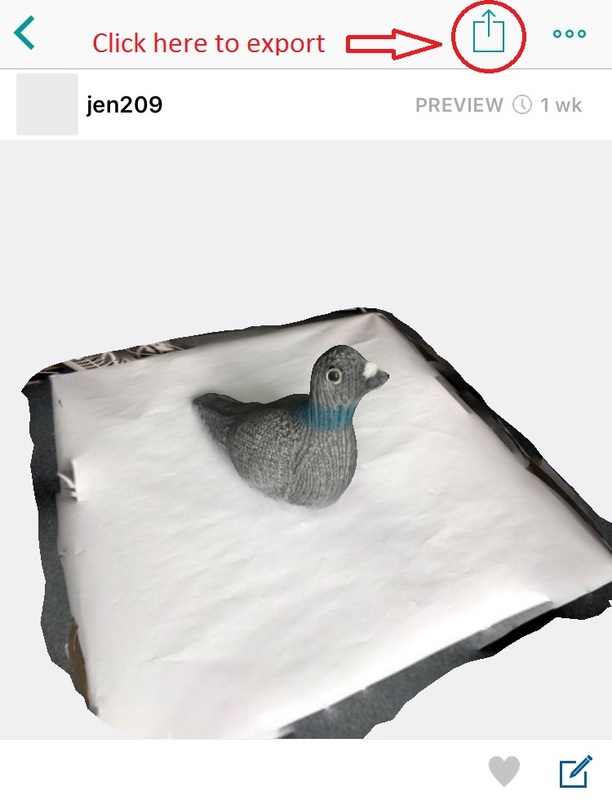 After taking all of our wonderful 3D images of the Porthcurno carrier pigeon last week, we needed somewhere to publish and share them – so this week we will be reviewing Sketchfab. Sketchfab is a platform where you can publish, share and discover 3D content. There are over 1.5 million scenes with a community of over 1 million creators you can follow, making Sketchfab the largest platform for immersive and interactive 3D. As with most of our reviews, this is a free platform, where there is no cost to upload or access content. Sketchfab is available as a desktop website and as a mobile app, so during this review, we will look at both of these iterations. Once we have finished sharing our 3D images, we will also have a look at some of the museums who use Sketchfab on a frequent basis. Website: it is really clear how to upload scans into Sketchfab. Website: the editing options on the website are excellent (once you have managed to get your content on there). The ability to add extra lighting, backgrounds, and post-processing filters is superb, creating professional looking 3D models. We really liked the ability to share 3D scans online on the Sketchfab site, and also the ability to embed this model into our own website. Mobile app: not very user-friendly. It is unclear how you import a scan to publish. We thought that we would be able to import 3D scans straight into Sketchfab, but it turns out that on the app you can only export scans to Sketchfab from the app that you used to create the scan. 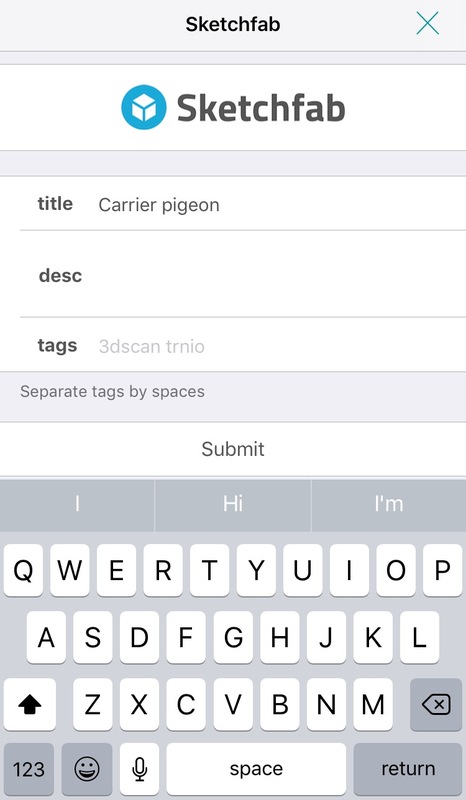 While the Trnio app supports this direct export into Sketchfab, Scann3D doesn’t and we found it impossible to transfer the 3D scans from the app into Sketchfab. The website and the mobile app appear to fulfill different functions. 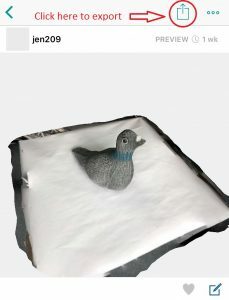 The website is much better at uploading and editing the 3D scans, whereas the mobile app is more geared towards exploring 3D content that has already been published. So, if you want to publish your own scans, we recommend that you use the Sketchfab website. The user journey is not particularly easy or intuitive. If Sketchfab were easier to use and integrated better with 3D scanning apps, then the overall experience and benefit to museums would be better. Once the content has been uploaded, Sketchfab provides a fantastic opportunity to become part of a 3D community online, alongside bigger museums such as the British Museum. Sketchfab is not perfect, but at the moment it is the biggest and best platform available to publish and share 3D scans and models. Next week we will be exploring content from other museums from the Sketchfab website, with the mindset of a user rather than a publisher. We might even get the chance to use our favourite tech so far – our Google Cardboards! 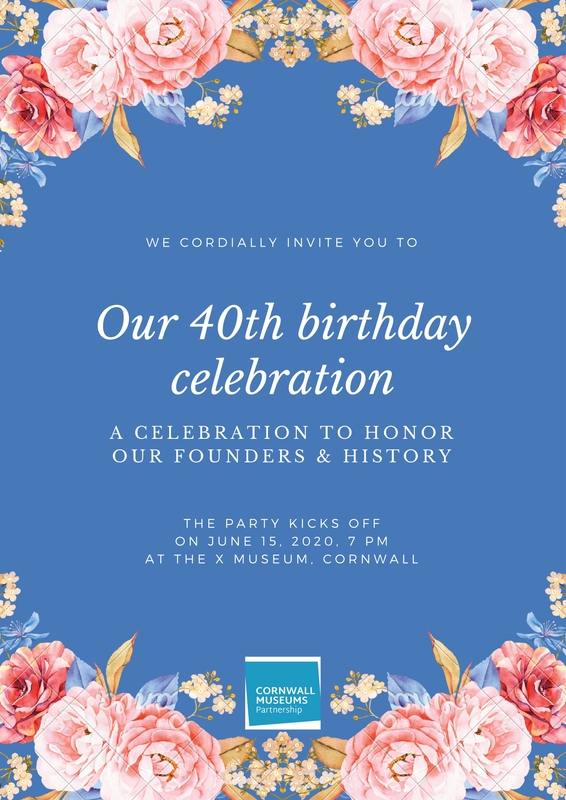 Cornwall Museums Partnership has recently launched its Weekly Tech Reviews, facilitated by Jenny Lee and Yiota Liopetriti. Weekly Tech Reviews are a series of short weekly sessions aiming to test and give feedback on affordable digital technologies and their potential applicability within museums in Cornwall. By reviewing, commenting and rating the different technologies through weekly blog entries, we aim to test the digital possibilities for museums in Cornwall. We welcome any feedback or comments from anyone working in a museum or working with affordable digital technologies. We would also like to hear from you if you have any ideas for future testing. Please contact Jenny, on JennyLee@cornwallmuseumspartnership.org.uk, or Yiota, on yiota@cornwallmuseumspartnership.org.uk, or give us a ring at 01209500750.